Watch my recent CBN Interview! We partner with indigenous orphan care leaders to care for the orphaned and vulnerable. Kim loves audiences ranging from book groups to library events, and churches to civic groups. She encourages loving the orphaned and unparented child in a courageous, bold way. 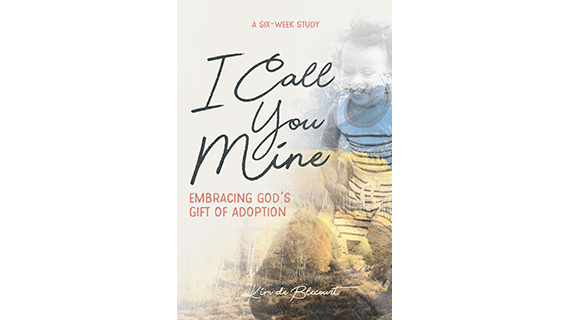 In "I Call You Mine," Kim de Blecourt examines adoption through the lens of Scripture, pointing adoptive parents again and again to the truths of God’s Word. "Kim’s words will encourage and challenge you to see and care for the orphans and foster-children of the world." "I Call You Mine" weaves the breath-taking costs and life-giving joy that most always come together in adoption. This is Scripture-soaked beauty. "Kim de Blecourt has done a masterful job of inviting adoptive parents back into the scriptures to rediscover the loving heart of their Abba, Father. I highly recommend this Bible study!" "I Call You Mine meets a real need in the adoption community. This book would be a gift to any adoptive family, and to those who wish to love them well." "I highly recommend this book for adoptive families as well as anyone who has struggled to grasp God’s love for them—and isn’t that all of us?" “Wow! This is really good . . . . What an incredible resource for the Church!” is what I kept saying to myself as I read this study. Dive into this study and meditate on the truths found within." The 700 Club Interview - "I Call You Mine"